Good deeds should be done with intention, not for attention. As we all are well aware of this thing that nowadays most of the Pakistani students are getting interested in abroad studying and the scope of this things has reached to the mark, but if someone is not native of Norway so he/she must formally apply for a visa in order to reach there. There are several rules and regulation which one have to follow in order to apply for a visa from Pakistan and continue the study there. So let’s discuss the further details of student visa for Pakistanis and their details too. Address Block 13, Street 29, Diplomatic Enclave-II, G-5/4, Islamabad, Pakistan. In Norway, if any student is going to apply so he/she firstly need the resident permit and afterward tap into the next process for university admission. The resident permit needs 2 to 6 months if the required documents are submitted to the Embassy. A student residence permit is generally granted for one year at a time and is renewable upon satisfactory, full-time study progress. For the residential permit, the personal appearance of the student is required and the office of this faculty remain opens on Tuesday and Wednesday 0800 hours to 1400 hours (by appointment only). In this way, all applicants are called for interview in order to know about their personal details like identity, education plan, and financial support also. 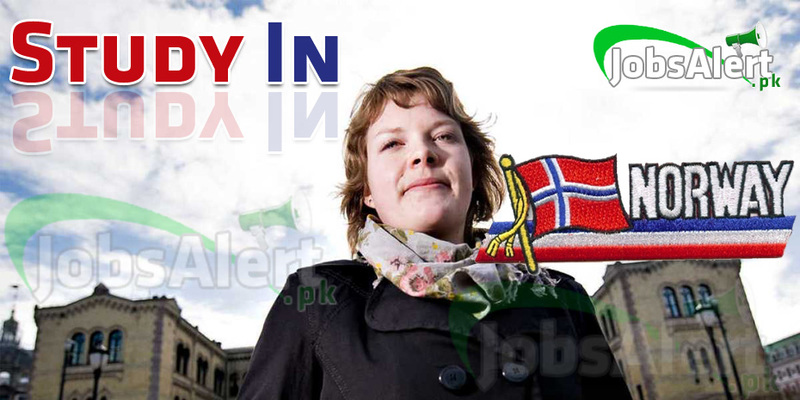 Afterward, the application of a student will be sent to the Directorate of Immigration in Norway for decision. As soon as the Embassy receives a decision from Norway, the applicant will be informed in writing. A decision may take some months. The fee for a residing permit is Rs: 6500/- which must be applied before applying for study permit but it is not acceptable after applying for the study permit. 2 forms of Application for a first-time residence permit for educational purposes. These forms must be filled in or typed in English. Original passport together with 2 sets of photocopies of first 2 pages. (Also bring along old passports if any). Please also note that your passport must normally be valid for at least two months beyond the period for which the permit is granted. Original identity card along with 2 photocopies of both sides. Original + one copy of birth certificate. Birth certificates are issued by the Union Council/Town Committee/Municipal Committee or DHO. Your father´s B-form issued by the ID-card Office (Registration Office). Please present the original + one copy. Original + one copy of both Primary and Matric school certificates. Other relevant documents showing the applicant's education. Letter of admission or invitation from an educational institution in Norway. Study plan. See "Application Forms". Financial plan. See "Application Forms"
A copy of the loan application if the studies are to be funded through the State Educational Loan Fund. Subsistence. Applicant must, for school year 2004/2005 per study year in a Norwegian Bank, deposit NOK 80,000 for higher education. Documentation of housing. Deed or tenancy agreement is approved as documentation. So this is the whole detail about studying in Norway. Hope so you all will smoothly read and understand the conditions.